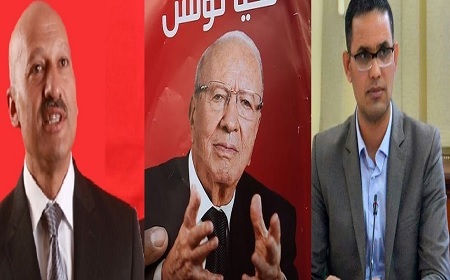 Nidaa Tounes leaders, obviously, are preparing to champion the party’s founder, the President of the Republic, Béji Caïd Essebsi (BCE), for the elections of 2019, even against his will. Ridha Belhaj, who seems to have returned to Nidaa Tounes only for that – and also to fire Prime Minister Youssef Chahed -, was the first to get out of the woods. Nidaa’s communications officer, Mongi Harbaoui, has just followed suit, with remarks that hide the threat to Chahed. 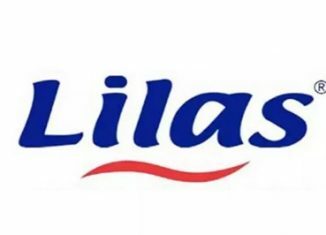 But in reality the leaders of Nidaa simply have no choice: Faced with the glaring absence of presidential candidates within the party, BCE, despite his 92 years, could be forced to re-run. 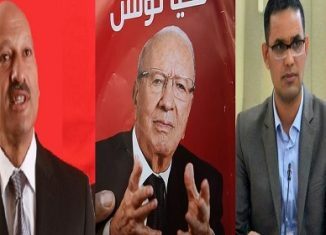 If it is assumed that it is “almost Game Over” for the legislative elections, because of the slipping of Hafedh Caid Essebsi and company in the polls, and that the elective Congress of the party cannot change anything in this short period of time, the old man could be the only card to prevent the Ennahdha-Chahed strategic alliance from taking all the stakes. And from this point of view, the display of power during the vote of confidence in the 3rd government of Chahed is a sacred scarecrow. Indeed, this would be the personal tragedy of the Head of State: Not having the right to retire after all the services he has rendered to the country, especially after the disorder that followed the precipitous departure of Ben Ali. To be forced to struggle again in the 2019 ballot, to prevent his party from being removed from the shelves and kicked out of the Executive, it is indeed a much unenviable fate at that age. But it must also be said that the old man has done nothing to afford a quiet retreat, where he would sit to admire his work, see it evolve, win fights and preside over the destinies of the country. These things have to be prepared and worked on. But the President of the Republic let the party drift, watched it sink, under the leadership of his son, whom he refused to stop. The result is that party has drained of its blood. Worst, it lost the sacred fire that made BCE triumph in the 2014 elections. 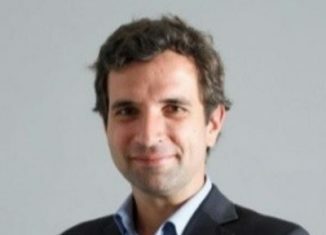 And finally Caid Essebsi’s son and his band slashed the thin son that connected them with Chahed, who was undoubtedly the most qualified to take up the torch, in view of his popularity as reflected in the polls. But the constraint is not the only explanation of what is currently simmering around the Head of State, there is also this natural appetite for power, which creates an addiction and dependence from which we never recover. When we see the delight of BCE when he impresses the audience at each of his media appearances and when we see the malicious pleasure he takes to bang on his ex-protégé, Youssef Chahed, we say he is cut for the job. That job is well paid, covered with honors and glory, and where we just paraded around the world, to say his word from time to time on the affairs of the country … There are actually more difficult tasks in life! French politician and former Minister Jean Glavany caused uproar in 2017 by evoking the problematic future of the Arab Maghreb, because of its old and sick leaders. The controversy has faded away ever since, of course, but the problem remains. Algeria is still under the Bouteflika era, one that the country still does not want to close. Well, the citizens, traumatized by the dark years, turn away from power issues, but they all know that it is the brother of the president and the heads of the army who pull all the strings. In Tunisia, too, citizens are becoming increasingly uninterested in politics, but this is not a reason for imposing on them directions opposed to the supreme interests of the nation. To consider a second term at 92, even if one has a sparkling form, is a way of blocking the country’s horizons, to confiscate the citizens’ choices for an immediate renewal that would bet on the future.